Like many kids, I didn't even know how to play the TCG; I just enjoyed collecting and trading the cards. As an adult, I can better appreciate the strategic aspects of the game and still love to scour through cards and find the best of the best. 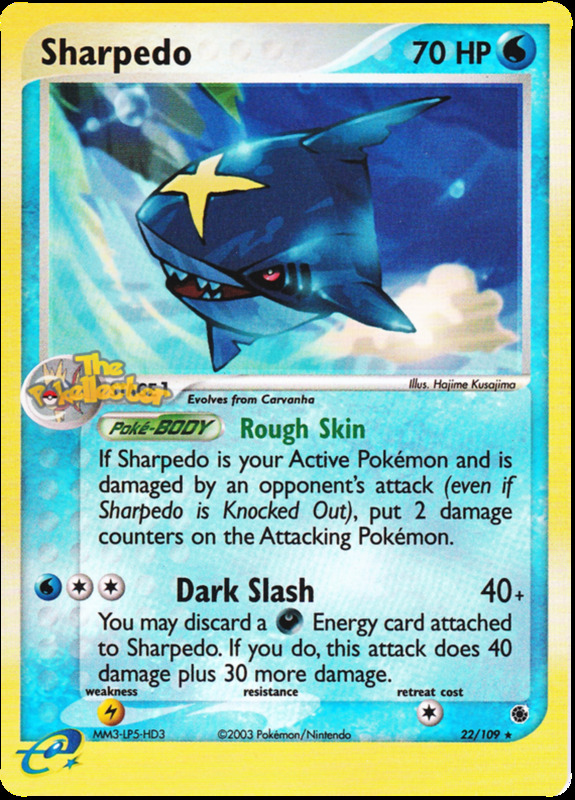 EX Sandstorm continued EX Ruby and Sapphire's tradition of adding powerful EX pokemon, cards that wield greater strength but yield two Prize Cards to your opponent when defeated. 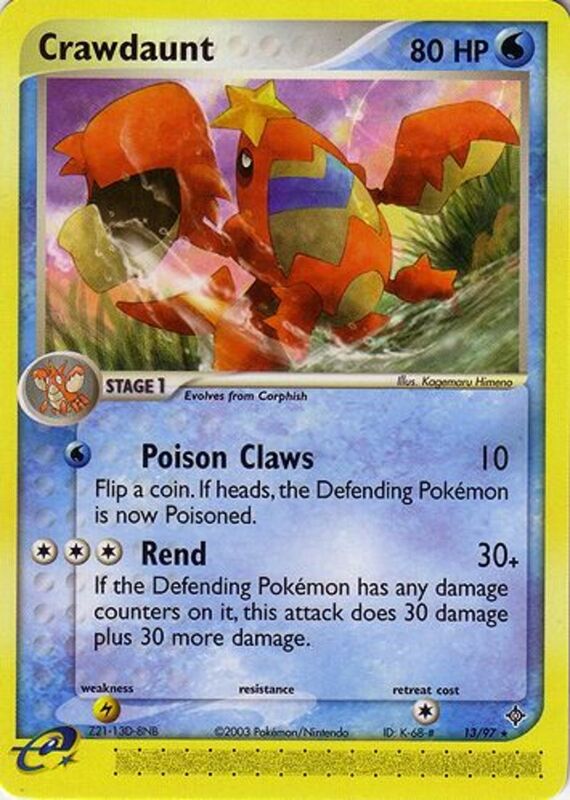 Sandstorm also debuted creatures with more than 120 HP and Retreat Costs higher than four, both firsts for the TCG. Which monsters reigned supreme? These are the six best pokemon from EX Sandstorm! Intimidating Fang (Poke-Body) Reduces incoming damage by 10 while Arbok is out. Also applies to your Benched Pokemon! Toxic (3 Energy) Nicks for 20, then Poisons the opponent, but they must take 20 instead of 10 damage between each round! 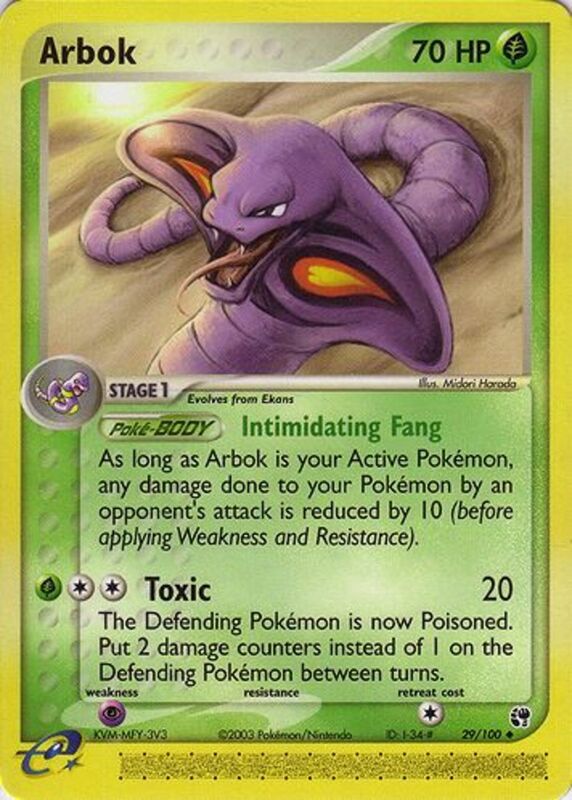 Arbok's Toxic quickly fells foes while Intimidating Fang helps your team survive. A low Retreat Cost enables a "Toxic and Retreat" strategy against big threats. Also, consider using a Double Colorless Energy to wield Toxic sooner. A couple things to note here. Kabutops is actually a Stage 2, despite Kabuto only evolving once. Why? 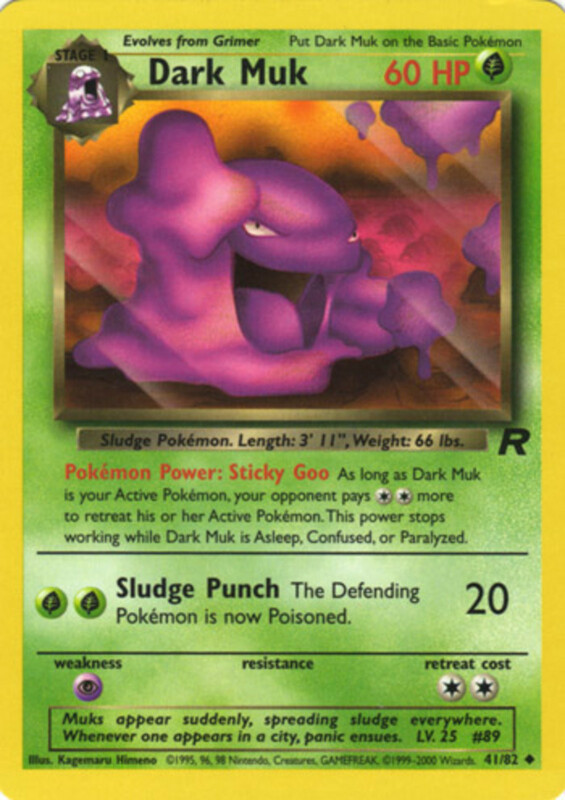 In the TCG, Kabuto itself is a Stage 1, evolving from the Mysterious Fossil card, which counts as a Basic Pokemon. Also, despite Kabutops being a Water type here, it requires some Fighting but no Water Energy, meaning it synchronizes better with Fighting decks. 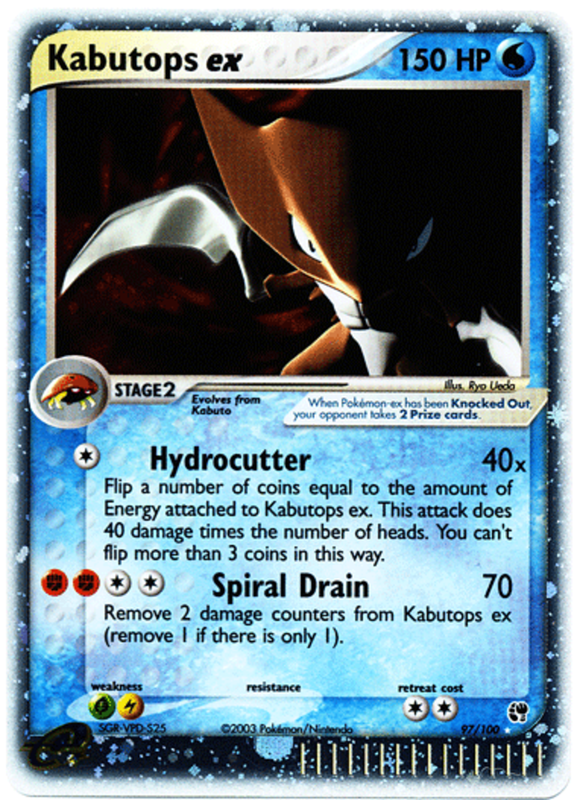 Hydrocutter (1 Energy) Flips a number of coins equal to the number of Energy on Kabutops, up to three. Each Heads scores 40 damage! Spiral Drain (4 Energy) Blasts 70 damage, then heals up to 20 from Kabutops. Hydrocutter is very strong for a 1 Energy move, and once Spiral Drain unlocks, Kabutops lands insane damage while simultaneously healing. Again, a Double Colorless helps use Spiral Drain quickly. An impressive card, but be aware Kabutops has no Resistances and two Weaknesses. 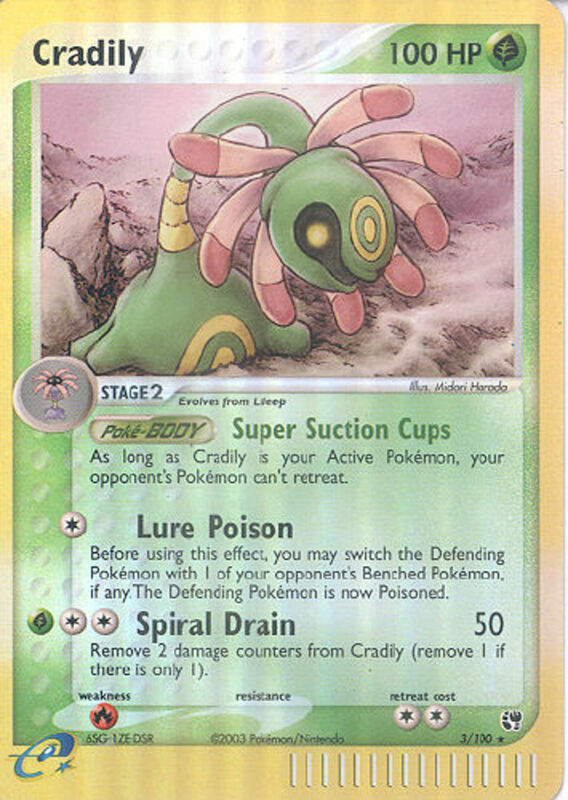 Suctions Cups (Poke-Body) Prevents the opponent from retreating while Cradily is out. Lure Poison (1 Energy) First, you may (but don't have to) switch the Defending Pokemon with a Benched one. Regardless of your choice, the opponent becomes Poisoned. 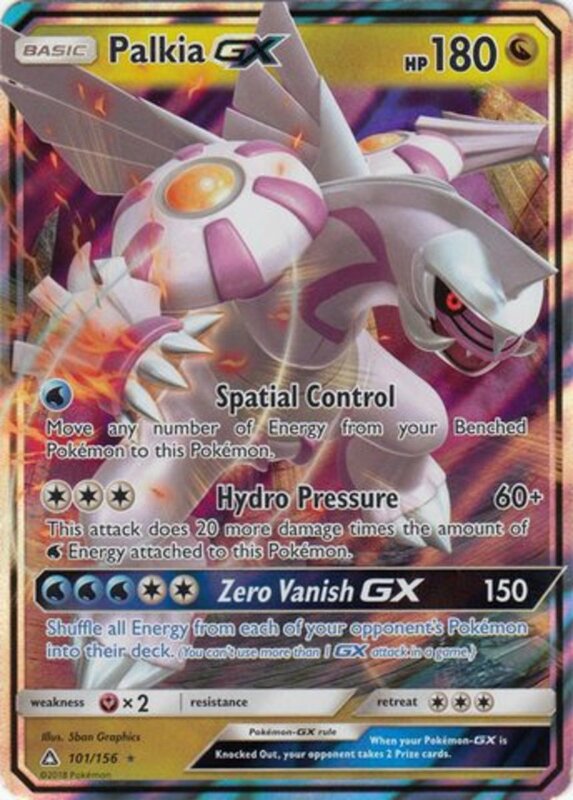 Spiral Drain (3 Energy) Like Kabutops EX, this attack heals 20 damage, but now only deals 50. That's still pretty impressive, especially since the attack costs less Energy and stems from a non-EX card. Cradily prevents retreating, switches foes as it pleases, and accumulates formidable damage while healing. Yet again, a Double Colorless Energy accesses Spiral Drain in fewer turns. Safeguard (Poke-Body) Prevents all effects of attacks, including damage, to Wobbuffet from EX Pokemon! Flip Over (3 Energy) Inflicts 50 damage, but deals 10 to Wobbuffet. 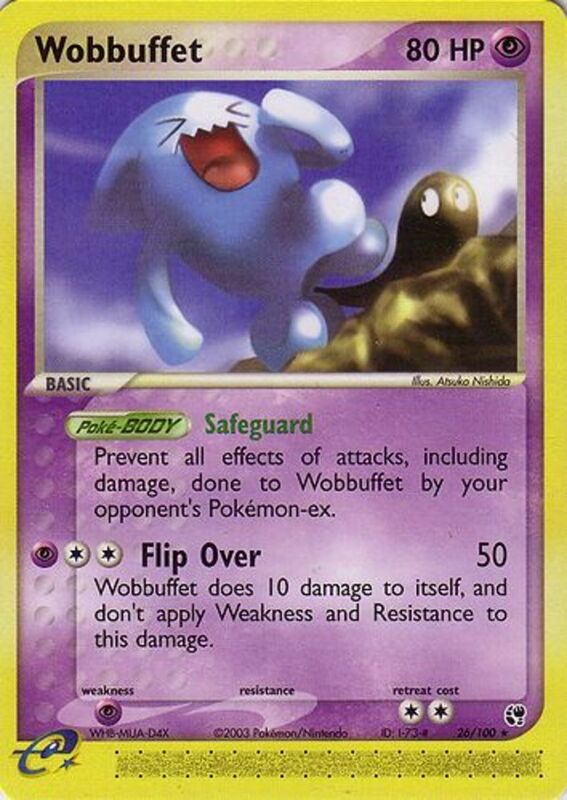 A surprisingly strong card even against non-EX foes, Wobbuffet bolstered any Psychic deck. Say it with me people: A Double Colorless Energy unlocks your attack sooner. 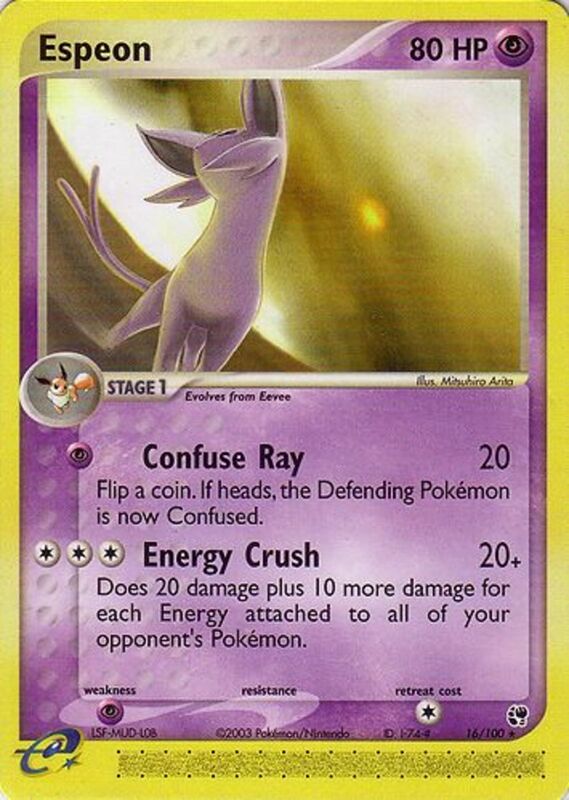 Confuse Ray (1 Energy) Nicks for 20, and flips a coin. Heads Confuses the opponent. 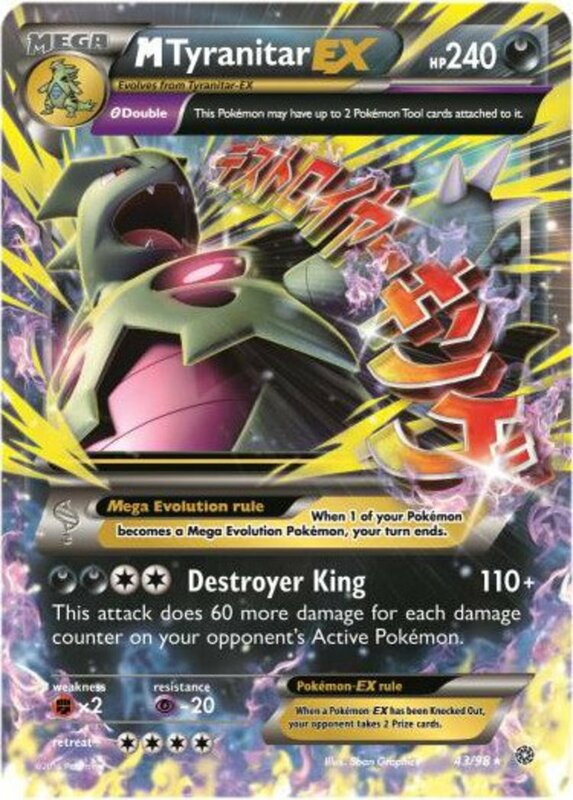 Energy Crush (30 Damage) Obliterates foes by dealing 20 damage plus 10 for each Energy on all their Pokemon. A) Be extremely powerful if your foes have several Energy attached. B) Be mediocre, but without much Energy, your opponent can't really counterattack. Either situation puts you at a huge advantage, especially if you use a Double Color- okay, okay, you've heard that tip enough. I'm sorry, but it applies to all of today's entries! Aerodactyl has many advantages compared to other Pokemon EX of his day. He actually has a Resistance, and only has one Weakness (most had two). 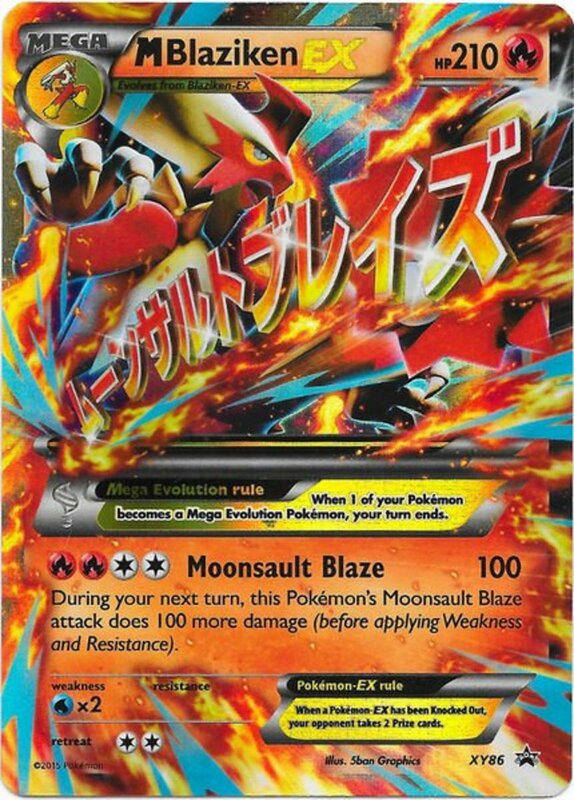 Additionally, his Retreat Cost is low, and he'll accept Energy of any variety, granting him access to any deck. 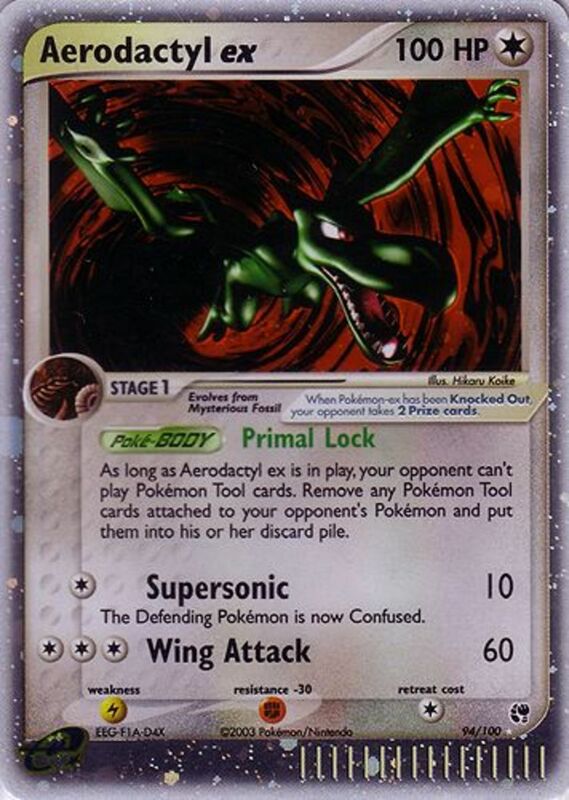 Primal Lock (Poke-Body) Prevents your opponent from playing Pokemon Tool cards, and discards any already in use by their team. Supersonic (1 Energy) Deals only 10, but automatically Confuses the opponent! Wing Attack (3 Energy) Simply slams foes for an impressive 60 damage. Aerodactyl may not brandish as much HP as his fellow EX cards, but 100 still lasts awhile. 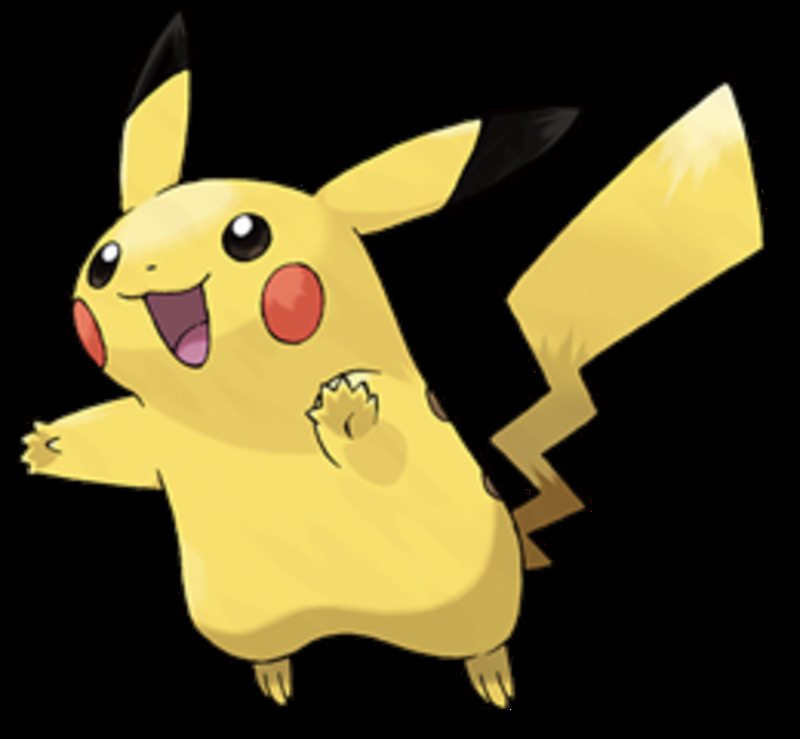 Plus, he doesn't have to bother with evolving, and completely blocks opposing Pokemon Tools while utilizing formidable attacks, making him the best Pokemon from the Sandstorm set. Which card do you favor? 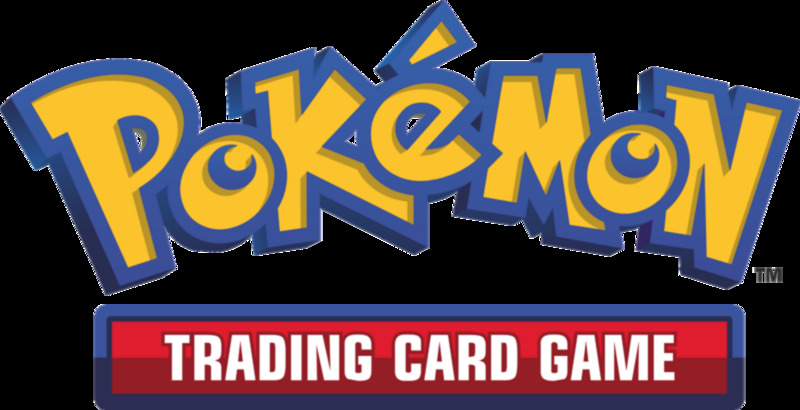 Sandstorm reinvented the TCG by breaking limits and reducing emphasis on luck, making the competitive scene a new and enjoyable experience. Feel free to vote for your favorite entry, and I'll see you at our next card countdown: the EX Dragon set!